Students complete four five-week rotations in laboratories of faculty in the Microbiology Graduate Group. The primary goal of these rotations is to give the students an opportunity to get to know faculty within the graduate group. This will provide the foundation for students to select a major professor, dissertation committee, and research laboratory. At the end of each rotation, students are required to give a short talk and written report on the rotation project as part of the laboratory rotation course (MIB 201L). This course provides beginning students with a format for feedback from faculty and fellow students on their written and oral communication skills. Just prior to the end of the winter quarter of the first year, students select the faculty member with whom they will conduct their dissertation research. This selection is made by joint decision of the student and faculty member and is based upon the experience of the laboratory rotation. The Qualifying Examination for advancement to candidacy in the Ph.D. degree program consists of a research oral examination taken during the latter part of the second or early part of the third year of residency. In this examination, the student defends two research proposals to a five-member faculty committee. One of the research proposals addresses the problem chosen as the student's dissertation topic and the second proposal is on a topic unrelated to the dissertation. The QE application, which must be approved by MGG and Graduate Studies before the exam, is located on the Graduate Studies website here. After advancing, the student chooses two members of the examination committee. These two members, together with the research mentor, constitute the student's Doctoral Dissertation Committee and function in a continuing advisory role for the student. The Advancement form may also be found on the Graduate Studies website here. 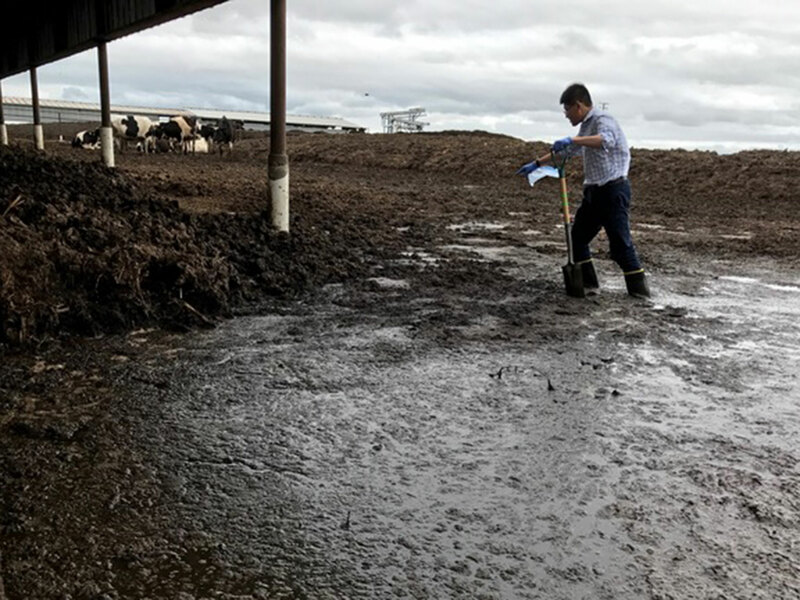 Collecting manure samples from a dairy farm in Dixon County, California (Photo by Jordan Sayre, Rodrigues Lab). 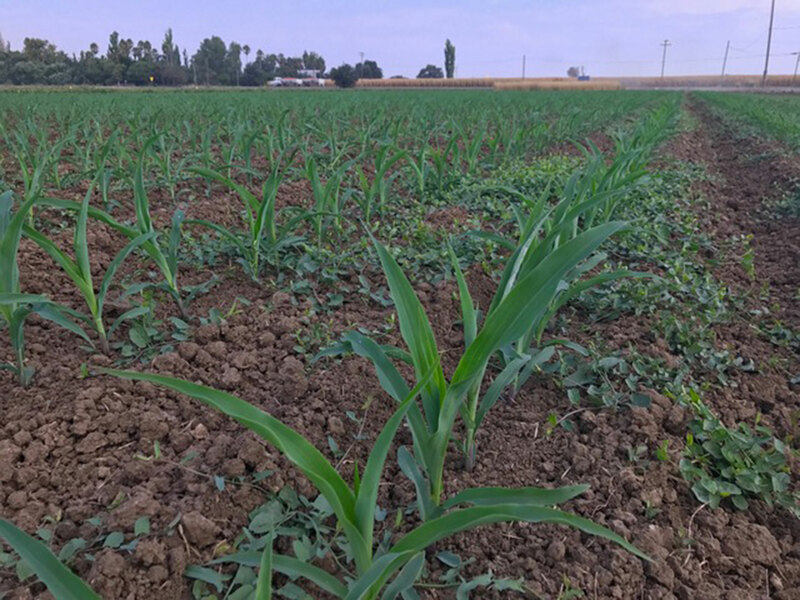 Corn growing successfully at Russell Ranch has received variable manure treatments (Photo by Jordan Sayre, Rodrigues Lab). 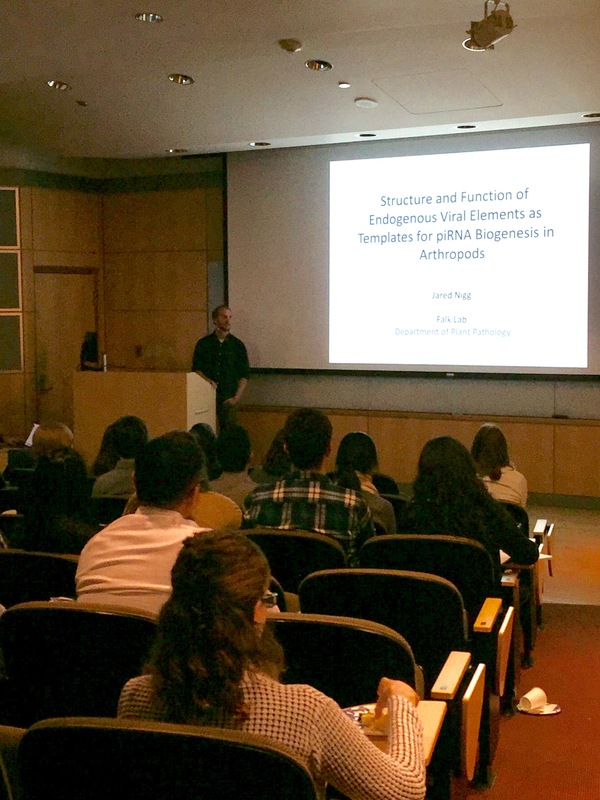 Jared Nigg gave a great research talk for our prospective MGG students (Feb 2018, Photo by Jessica W. Toan). 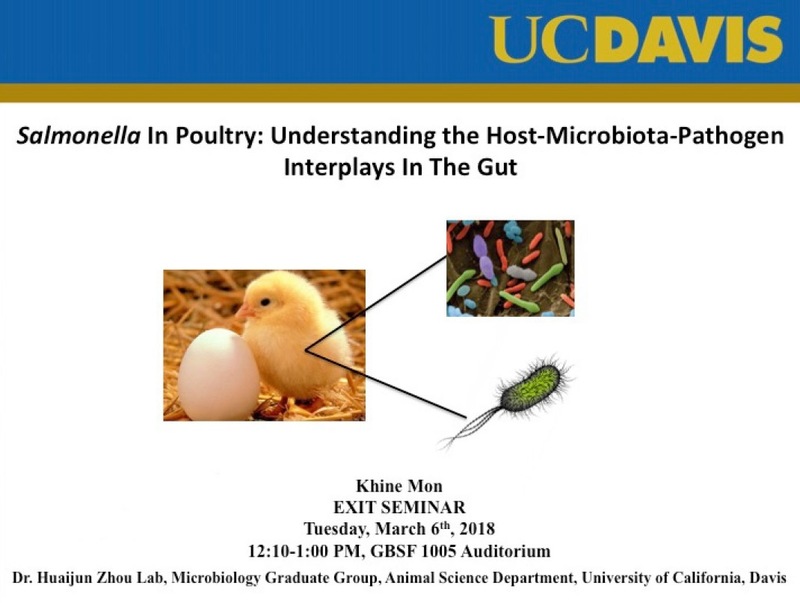 We are excited for Khine Mon, who is presenting her exit seminar on her dissertation research. 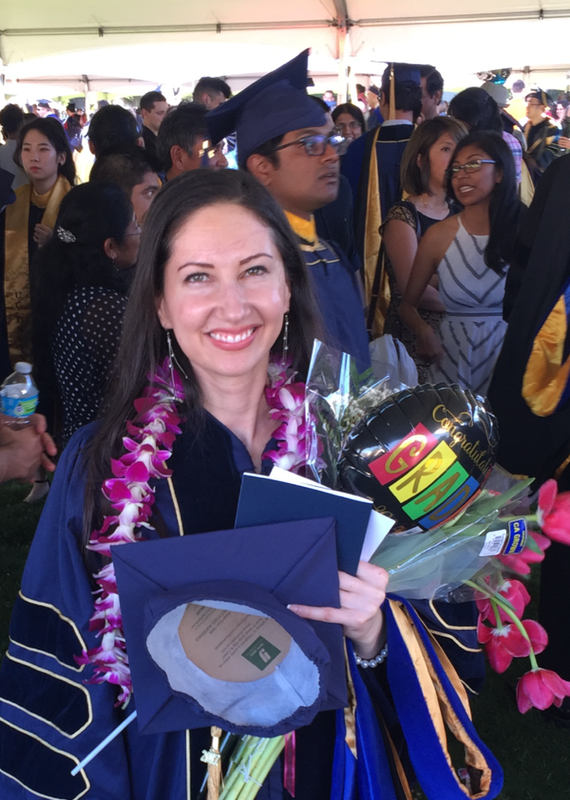 Nina Kirmiz, Ph.D. graduated from Dr. David Mills lab in Fall 2017. Her dissertation was on Insights into human milk oligosaccharide utilization by Bifidobacterium breve SC95 and Bifidobacterium longum subsp. longum SC596.